What Do You Need To Consider When Growing Your Own Marijuana In Canada? • You will have control over the supply: Once you start growing it, any disruptions in supply will not be unpredictable. • Quality: You will have full control over issues such as the use of chemicals during the growth of the marijuana. This enables you to get the purest form of it possible. • It’s therapeutic: Growing your own marijuana, just like other forms of gardening, has a therapeutic effect. 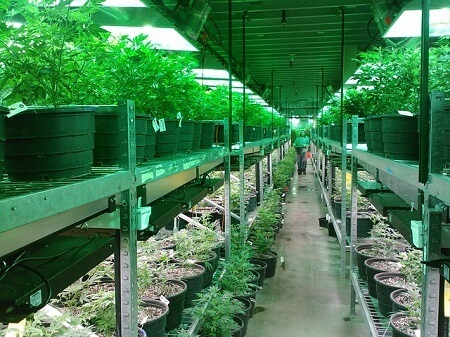 If you decide to grow your own marijuana, there are certain legal issues you need to address. The most important of these is getting the license to grow one. Remember, just because you are eligible for use of medical marijuana does not mean that you can grow it yourself. You will need to get separate permissions for this. When doing this, it’s important to take note of some of the restrictions that may be imposed on you. Some of these include the fact that you may be limited to grow only a small amount of marijuana, and it should be a quantity that is just enough for individual use. You will also need to refrain from the sale of the marijuana to other people. Once you are allowed to grow it, you will then need to address the technical issues that are associated with growing marijuana. These are usually very straightforward. For one, you need to make sure that you have enough space for this. Most plants will need a certain amount of space between each other, and you should find out how many of them you can grow in the space you have without running the risk of making them stunted. In addition to that, you will also need to consider the use of products such as humus to enrich the soil so that it can grow more rapidly. To ensure that the marijuana thrives, you may also need to make sure that the environmental conditions in which you are growing it are adequate. In particular, you need to make sure that they receive enough light. Buying an LED light that produces a light of between 400 nm and 730 nm wavelength will be ideal. At this wavelength, the marijuana is most stimulated to grow, and this means that you are likely to get much healthier plants this way. Fortunately, the LEDs producing this type of light are very easy and cheap to buy, so it should not be a big deal for you to get one. Once all the above have been sorted out, you will be in a good position to grow marijuana easily for your medical use.